A short biography on this rabbi is found in Dorot Ha’achronim of Eisenstadt. He came from Lithuania in year 1906 where he first served as Rabbi in the Allan St. Shul, he later moved to Brownsville till his death. 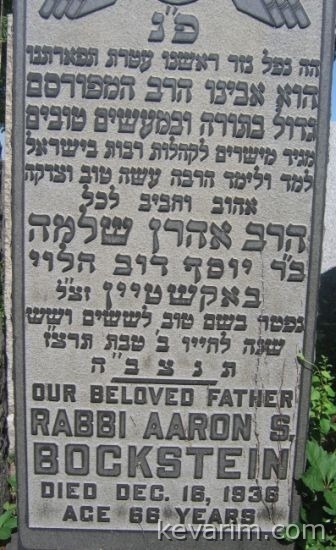 The Rav’s son Baruch Mordechai, passed away at a young age, he was buried in Mt. Zion in Maspeth-Queens and on his tumbstone they inscribed that he was on of the first students in RIETS.